There comes a time in every college student’s academic career where they think about internships and the real-world experience that they have to offer. Internships are incredibly important, and can help start a student’s career in their respective field. 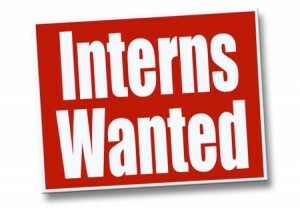 There are various types of internships available out there– such as: paid, non-paid, summer, fall and year-long. Here are a few tips and tricks on how to find the internship that is right for you. Contact the career center or look through the ecareer center website. Businesses, agencies, organizations, etc. post internship or job postings for students to see. It is an easy way to find exactly what industry you want to work and/or intern for. Do your own research. Get on Google and search for keywords that may help you find an internship in your desired location. For example, I would search “public relations internship Albany, NY.” If you want it to be paid, simply add in “paid internship” with the rest of your criteria. Use your connections. If you know someone who is already in the field that you want to intern and/or work for, ask them if they know anyone who may be hiring interns or if their business, organization, agency, etc. have any positions available. They may be able to put in a good word for you if they have had positive experiences working with you. Connections include professors, peers, co-workers and classmates. Check out my blog post about networking here. Check with local professional organizations and inquire about any possible internship opportunities. Many Saint Rose students, professors, and staff members have connections to many different organizations in the Albany area. Find out which organizations have ties with the college or members of the college and go from there. If you find that an organization is not part of the Saint Rose community, maybe you can be the first person to create that new relationship. Do not hesitate to ask if you can be an organization’s first intern. Many people do it, and many have been successful. Some organizations have not experienced the help that an intern can bring. So get your game-face on, your resume ready and tell them why you should be their first intern.